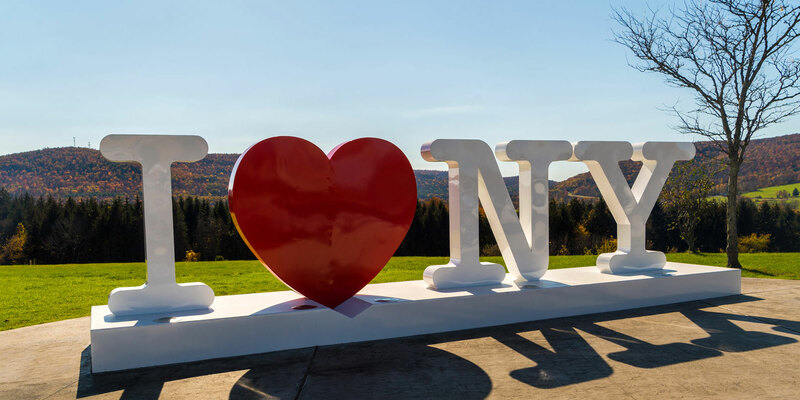 New York State's successful tourism industry continues to shine with news of record visitation and economic impact, a full slate of I LOVE NY events and experiences, and growing recognition of all that New York State has to offer visitors—especially the cities of Syracuse and Buffalo. The Numbers: New York tourism is on a record-breaking run, according to 2017 statistics announced in July during the Governor’s sixth annual Adirondack Challenge. Last year, New York State welcomed a record-high 243.8 million visitors who generated $67.6 billion in direct spending, an all-time high. The total economic impact of tourism reached $108.7 billion, exceeding $100 billion for the fourth straight year. Tourism is now New York State’s third-largest private sector employer. Comedy’s NYS Home: The National Comedy Center, a $50 million state-of-the-art museum dedicated to telling the story of comedy in America, opened Aug. 1 in Jamestown, Chautauqua County, the Western New York hometown of legendary comedian Lucille Ball. The center features exclusive collections and immersive exhibits, an interactive visitor journey through comedy history utilizing cutting-edge personalization technology that creates a customized humor profile for each visitor. Summer Spotlight on Upstate: National and international publications have shone a spotlight on Buffalo and Syracuse in recent months, with readers from New York to London finding out about the energy and resurgence of Buffalo and Syracuse. In July, Forbes described Syracuse, with its arts cultural and entertainment offerings, as undergoing a “modern-day renaissance.” In June, the New York Times described Buffalo as “experiencing a bona fide renaissance” and “a modern and multifaceted city, more than ready for its moment.” Also in June, the city was featured as one of the newspaper’s 52 Places destinations. In an August shout-out, The Sunday Times of London added another positive review, naming Buffalo “America’s Coolest Summer City.” And in June, a Boston Globe feature described the Adirondacks city of Saranac Lake as “on the rise” with a turnaround “emboldened” by the restored Hotel Saranac. Canalside Celebrates an Anniversary: In July, Buffalo celebrated the 10th anniversary of Canalside, the Erie Canal Harbor Development Corporation project that has transformed the city’s Inner Harbor into a year-round attraction and entertainment destination. A ceremony marked the success of Canalside and the spinoff success of the Buffalo River and Outer Harbor. Earlier this month, Governor Cuomo announced a $24 million investment supporting three projects that will expand the city’s waterfront and contribute to continued tourism growth, including infrastructure improvements to jump start mixed use development, greater access to the waterfront and a new Canalside facility where an 1825 replica Erie Canal packet boat will be built and become a focal point for tours. New York's 10 distinct regions present unique opportunities for business. See what these areas of the state have to offer. New York’s tourism businesses are both visitor destinations and economic drivers, from awe-inspiring city lights to Adirondack peaks and the mist of Niagara Falls.